Check out Killarney Edmonton homes for sale here! This fantastic community is situated in the Northeast section of Edmonton. 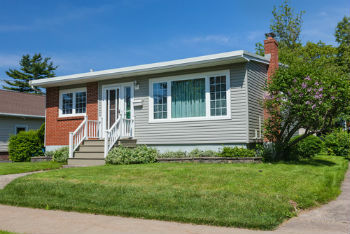 The neighborhood is located north of the train tracks at 127 Ave. and south of 132 Ave., between 82 and 97 St. Real estate in the area features mostly bungalows with detached garages in back. You'll find many of the homes have been renovated to some extent after being originally built in the 1950s. The area also has a selection of townhouses and low-rise condos as well. Killarney is close to several Edmonton schools, making it an attractive - and affordable - community for families. Learn more about Killarney homes for sale and what life in the community is like below the listings! Killarney real estate is highly sought thanks to the fact that the area is so close to some outstanding amenities, making life much easier for residents in the community. In terms of shopping, Killarney is not far from the Northgate and North Town Centres at 137 Ave. and 97 St. Banks and many other professional services are also nearby. You'll also notice there are plenty of places to dine out near Killarney. With a great selection of restaurants, you'll find many different cuisines to suit your fancy. If you're looking for a good steak, be sure to check out Sam's Pizza and Steak House on 82 St. For something a little more ethnic, Istanbul Mediterranean Cuisine features mouthwatering lamb and kabobs. As mentioned earlier, there are several nearby schools including Mee-Yah-Noh Elementary, St. Matthew Elementary, Archbishop O'Leary High School and the public Queen Elizabeth High School. There are more schools nearby in Glengarry as well. The Killarney community has some great recreation facilities for residents, including sports fields and four tennis courts. There's also an athletic field with a running track for track and field pursuits. Elk Island national park is less than an hour away and it's a fantastic place to get outdoors and experience nature. The park showcases Canada's endangered Aspen parkland and herds of wild, free-roaming plains bison, wood bison, moose and elk. You can also camp within the park or do some cross-country skiing in the winter. Would you like to view any Killarney homes for sale in Edmonton? Contact MaxWell Challenge Realty today! You can also call us at 780-990-7777.